I have MANY more vintage Easter cards newly listed at Birdhouse Books. 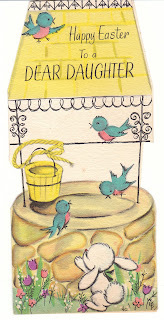 I'll post just a few photos here, and hope you will stop by Birdhouse Books to see more. Vintage Easter card featuring a duck carrying a basket of flowers. 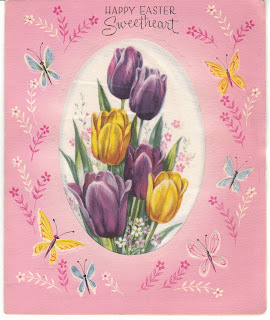 Vintage Easter card with puffy fabric inset of tulips. 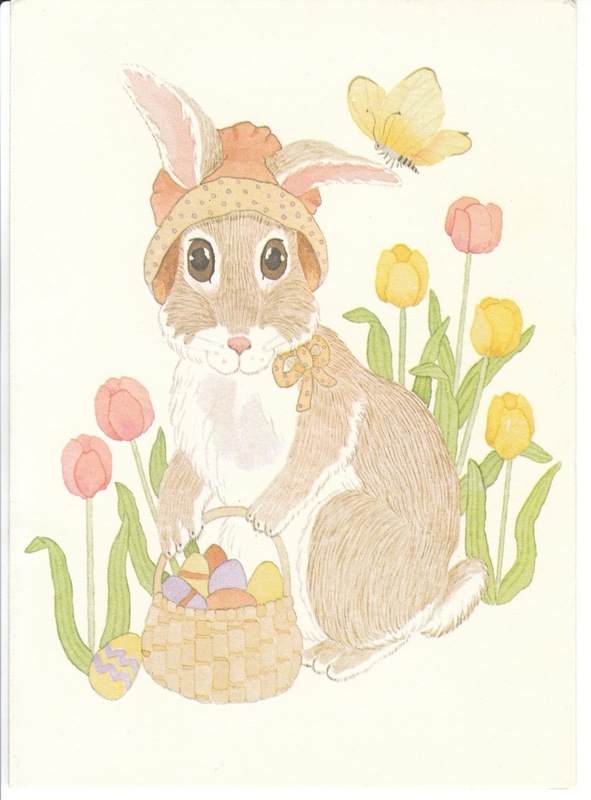 Vintage Easter card designed by Melanie Renn for Gordon Fraser. 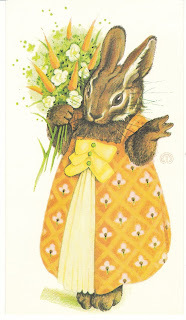 It features a dressed bunny rabbit carrying a bouquet of carrots. 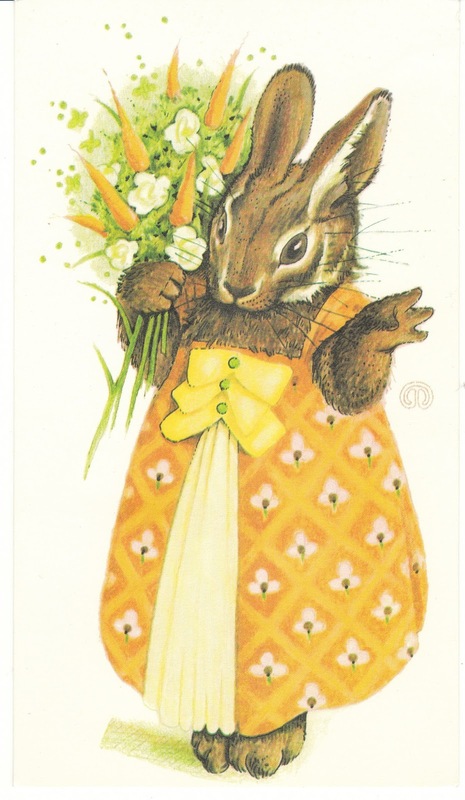 Vintage Easter card with a cute bunny rabbit illustration by Dana Strange. 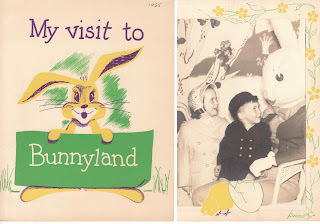 My Visit to Bunnyland vintage Easter card featuring a photo of children meeting the Easter Bunny. 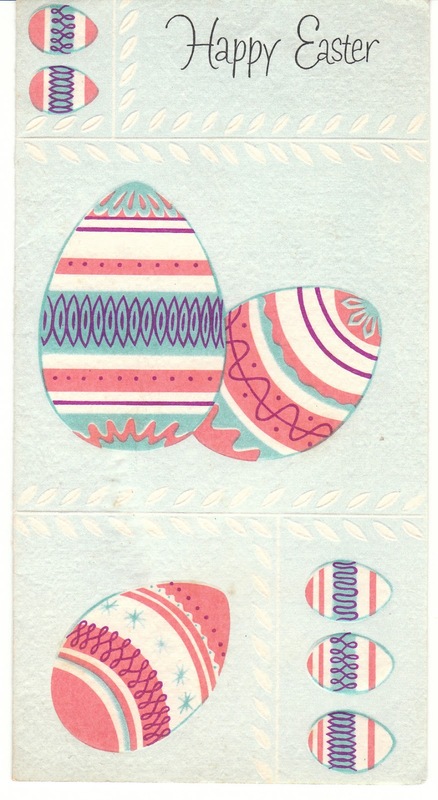 Vintage Easter card for a little girl featuring a die-cut well with bluebirds and bunny rabbit. 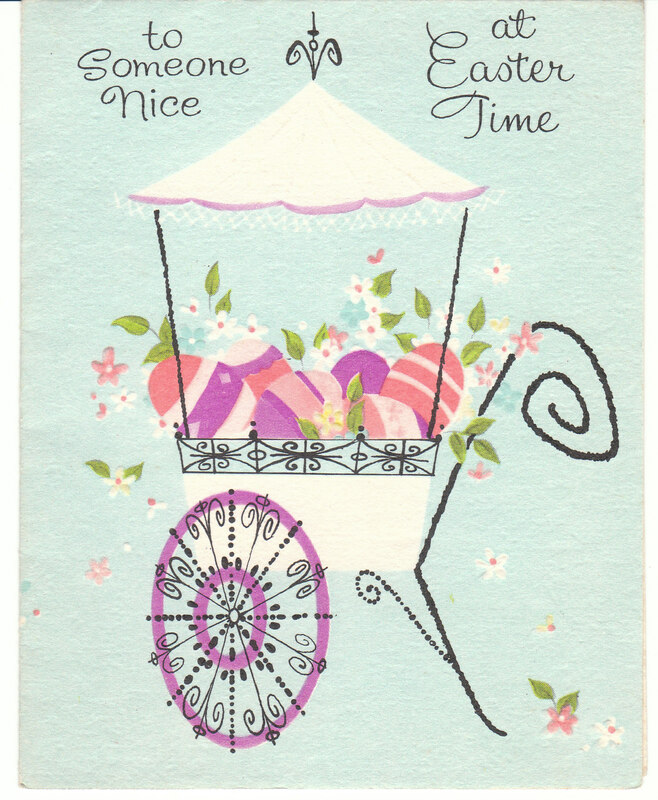 Mid-Century vintage Easter card with a cart full of Easter eggs. 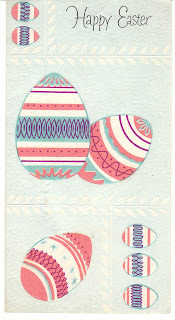 Vintage Easter card with Mid Century stylized Easter eggs - fabulous! I hope you've found some goodies here. 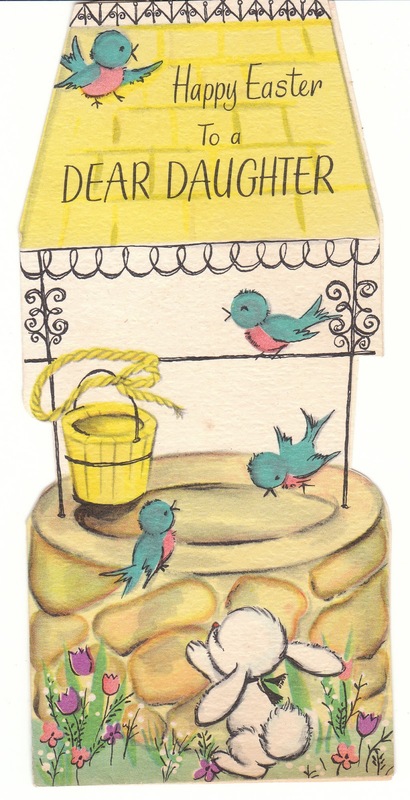 Do stop by my store! 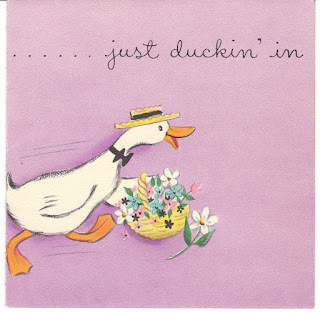 And have a great weekend.